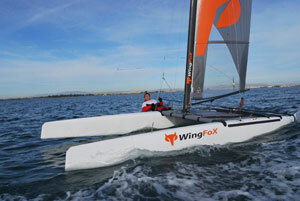 In WingFoX we implement and refine the latest composite technologies. Our Research and Development department ensures success, even in the most complex projects. One of our most important activities is the production of racing catamarans. Any A-Class catamaran produced by us is a great achievement in the field of advanced composite technology. For instance, the boat, ready to sail, weighs only 75 kg and is entirely made of carbon fiber. The basic parts of our catamaran, such as hulls, beams, booms, masts, centetrboards or rudder blades are designed and made with the use of highly advanced digital technology. 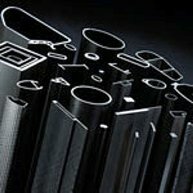 At the same time, we manufacture other products using high temperature prepreg, vacuum, infusion, pultrusion, or RTM technologies. In our offer, you will find any range of profiles and shapes, at any length you need. The highly advanced technology of pultrusion allowes production of elements with the tolerance of 0.1 millimeter and a minimum wall thickness of 0.5 mm. We also manufacture precision machine components, as well as parts for telecommunication industry. 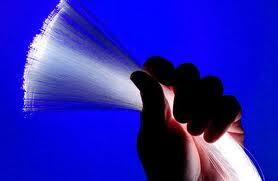 Our products are used by one of the largest companies in the world, a leader in manufacturing optical fibers and accessories for telecommunications. Accessories used in automotive industry are another branch of our production. Expanding restrictions of fuel consumption quota results in a higher demand for ultra-light elements. Body parts performed by us in the high-temperature prepreg technology, as well as carbon honeycomb spacers provide great rigidity and strength with the minimal weight. Minimizing the vehicle weight becomes really important when it comes to vehicles equipped with electric drive. Each kilogram saved translates directly into an increased range. Carbon parts produced by us are also used by designers to underscore the latest technologies applied in their vehicles.